Chief Justice Samuel Zoll, 76, died yesterday of terminal gall bladder cancer. 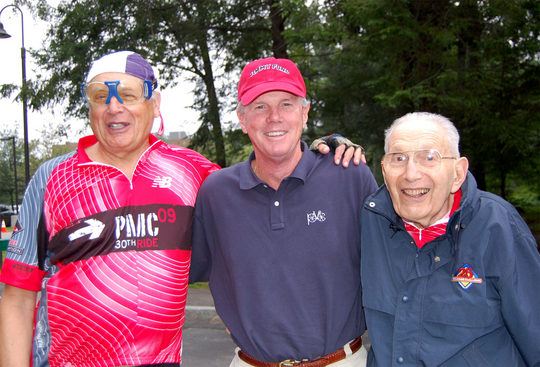 Sam was a 28-year PMC rider. It is difficult to overestimate Sam’s impact on the PMC’s development. Due to his efforts the PMC gained admission to the Mass Maritime Academy in 1985. After 5 years, the PMC could welcome all the humanity that wanted a piece of this event. And that is what Sam loved most about the PMC – its humanity and anonymity. He believed in the power of people working together, faceless, in a common noble cause. For years, his position, counsel and carriage helped secure our status with many of the towns and government agencies we impact and now, work with cohesively. All who knew him would say that they were enhanced by simply sharing his company. He will be missed: Friend, mentor, humanitarian.